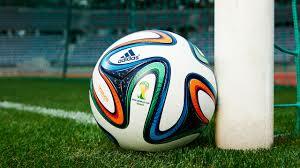 Here at Classically Educated, we’ve been kind of following the World Cup. Being based all over the world, it’s a bit hard to ignore the world’s largest, most important sporting event. The main problem we have, of course, is that the largest single block of readers we have is from he US, where, to put it extremely diplomatically, most people are extremely uninformed about the World Cup (despite having hosted one as recently as 1994). I think most of the blame for this goes to American Media, whose 24 hour news cycle means that they have to have stories and story lines even when there is little to write about – and makes it look like the World Cup is about thirty-two equally important teams, like a preseason NFL analysis. That is probably the most insane way of covering the World Cup that we’ve ever seen, but there you have it. 1. It is the world’s most important sporting event – the 2010 final was watched by 700 million viewers, and 2014 should have significantly more coverage. The Olympics, of course, are second. The Super Bowl is around a fifth of that audience, and is less important viewer-wise than the Cricket World finals (an event which I will admit having missed every time). Other American sporting events don’t make the top five, and it’s nice to see the Monaco Grand Prix up there above the World Series and the NBA finals – here at CE, we approve of anything that has to do with Monaco. 2. 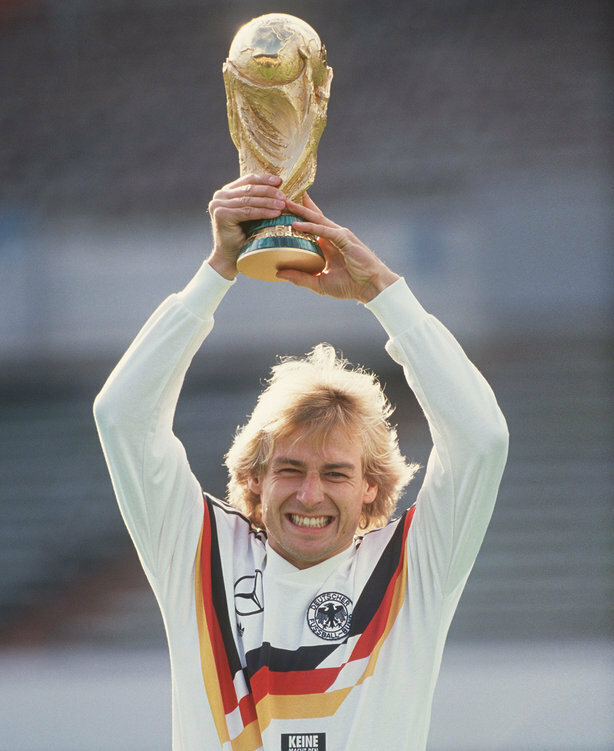 Jürgen Klinsmann is correct: the US is not there to win the Cup. There’s been a big flap in the American media about Klinsmann having said that the US has no chance of winning. Some people speculated that the comment was a motivational tool. Others say that he was completely wrong to say something like that, and that it’s unacceptable that he did so. Both camps are composed of clueless idiots. What really rankles about the US media’s treatment of this isn’t that they seem to think that they know better than a man who has been there and done it as a player and a coach, and who knows the state of world soccer (football?) better than almost everyone else on the planet, a man who has true credentials to be the coach of any team on the planet, not just the junior-varsity US squad (that thing in his hand in the photo, BTW, is the most important sports trophy on the planet, the World Cup). It doesn’t even bug us that the media is ignoring the fact that US players know they have the same chance of winning the Cup as the Jamaican Boblsed team did of winning the Olympic gold in 1988. We are talking major miracle here (more parting the Red Sea than walking on water-level, if you would like it in religious terms). What really irritates is that the media is ignoring what every real soccer fan knows as an absolute truth: there are maybe five or six teams with an actual shot at winning. The US is not one of them – and even with a huge influx of Mexicans and other Latin Americans over the past few years, the US is not all that close to being one of them (Mexico is another team that is not one of them). Any knowledgeable (or even casual fan) would say that the list is entirely composed of the past World Champions (and no, you can’t count Uruguay out just yet) (I, personally, would count England out -Ed. ), plus Holland. Period. Saying anything else shows a level of cluelessness that should lead to the revocation of press passes. 3. The World Cup is in no way comparable to the Women’s World Cup. If you get your news exclusively through US media, it would seem that both events are equally important. Sportscenter gives the same coverage to both, websites allot the same number of words. This is completely inexplicable to anyone familiar with the actual importance of the two events. We do not mean any disrespect to the great female athletes who compete for their country, but (using an American Sports anthology so our US readers will understand) this is like comparing the World Series to a random Saturday T-ball game for first graders. 4. It’s not so much that the Women’s World Cup is minor (it is, but that’s not the point) but that US coverage of both events make it difficult to understand just how mind-bogglingly huge the real World Cup is (note that it’s not necessary to say which sport we’re talking about – the words “World Cup” suffice). Let us illustrate – and this is not an exaggeration, as anyone who has lived through it can attest. Let us imagine six o’clock on a Monday in Sao Paulo or Buenos Aires, or Rome. This is rush hour in those places. The streets are clogged with millions of cars and buses. Sao Paulo’s Metro area is composed of 23 million people. They are all on the street at 6 PM on a random Monday. Except… This Monday the Brazilian (or the Italian or Argentine) national team is playing a World Cup game. So the city looks like downtown Pripyat. It’s a post apocalyptic ghost town with empty streets occupied only by pieces of paper blown by the wind. A visitor from another planet would wonder what horrible tragedy had wiped out what was clearly a thriving, active population just hours before without destroying the infrastructure. They’d probably think neutron bombs. That is until the local team inevitably scores a goal (teams in these countries always do). Then, there’s a roar like a hundred express trains of people shouting the word “Gol”! Men, women, children, all screaming, celebrating with a sound like thunder – if thunder had the execrable tinge of vuvuzelas. 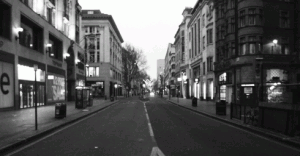 It is pandemonium for thirty seconds – and then the ghost town is back. You can cross some of the world’s busiest avenues with no risk of getting hit by a car. London, Amsterdam, Montevideo, Madrid, Berlin, Mexico City, Bogotá – even Paris to a lesser extent – are paralyzed for these games. So are all the other cities in those countries. Companies stop work and the employees gather in meeting rooms to watch the game. There is nothing else going on. The odds of getting a pizza delivered are just about zero. So, I hope this has cleared up some of the confusion around the world cup, and I hope those US-based journalists now have an inkling of just how babe-in-the-woods their text looks to anyone with a clue. Perhaps they are actually knowledgeable and are dumbing it down / playing a part for their audiences. If so, our advice is to stop it. You’re not doing anyone any favors. That is all. Americans should now have a clearer idea of what’s what. Let the hate mail roll in – that’s what comments sections are for! And if you already hate us, what better place to leave insults than on our Facebook Page? If you click like, you’ll even get updates, so you can never fail to tell us that we are idiots!